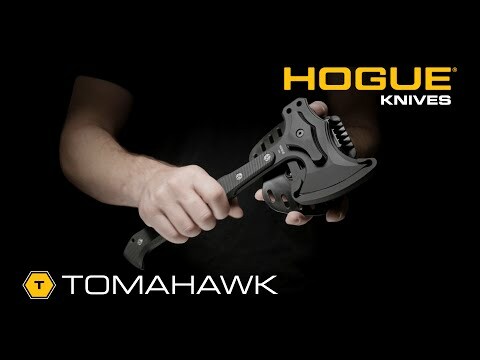 Designed in collaboration with custom knifemaker Allen Elishewitz, the Hogue EX-T01 Tomahawk is a dependable tool for both tactical and outdoor applications. 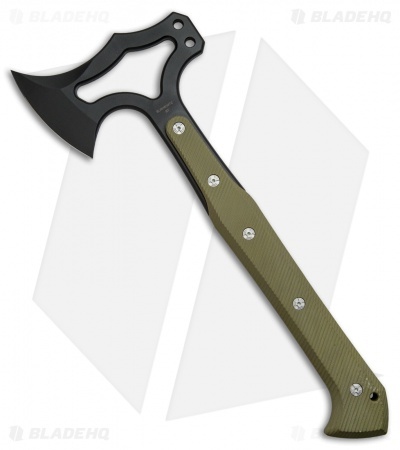 Its lightweight build features a partial-tang, skeletonized S-7 tool steel head with a hand-honed edge for the swift execution of chopping and slashing tasks. The back of the head can be used as an impact tool, and has two holes to accept optional spike, pry bar, and hammer attachments sold separately. Thick G-10 handle scales offer high durability and impact resistance, and have a grooved texture for an unwavering grip. The EX-T01 includes a G-10 sheath with powerful magnets and a solid G-10 catch that provides firm retention without hindering draw speed. This model has a black Cerakote finish and an OD green G-10 handle. 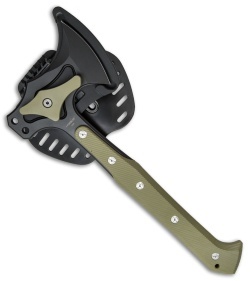 Skeletonized S-7 tool steel head contributes to a lightweight, shock resistant build. Tough G-10 handle scales offer a secure grip and a high resistance to chemical and moisture damage. G-10 sheath with embedded magnets provides a secure carry option that allows easy accessibility and a quick draw. 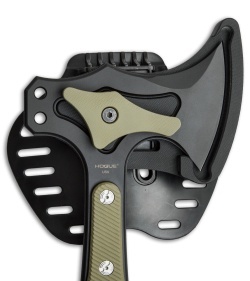 Compatible with a variety of head attachments sold separately for increased customization and utility.